Naples is a city on the Gulf of Mexico in southwest Florida that’s known for high-end shopping, golf courses, fine dining and white “sugar” sand beaches. 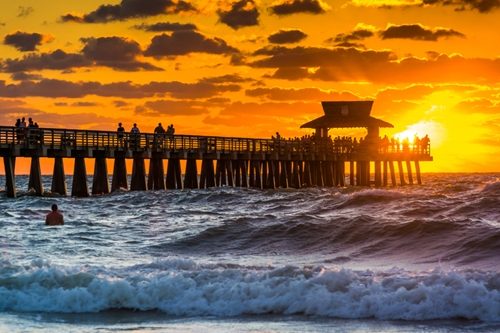 The Naples Pier, first erected in 1888, is the city’s symbol and is a popular fishing and dolphin-spotting destination. Naples has a population of about 22,000 and a median home price of $316,400. Search here for available real estate listings for sale in Naples, Florida.